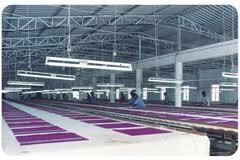 Erode, in the state of tamilnadu - where we are based has some of the best printing and processing mills in India. Our printing mills has the state of the art infrastructure to produce best printing quality fabrics. Table printing is the process through the fabric is laid in long tables and then printed systematically color wise and then it is dried. Oil based and water based chemicals is used in this process. Our printing houses facilitates large capacity table printing and thus ensuring that we print bulk fabric print on time and with the best quality. 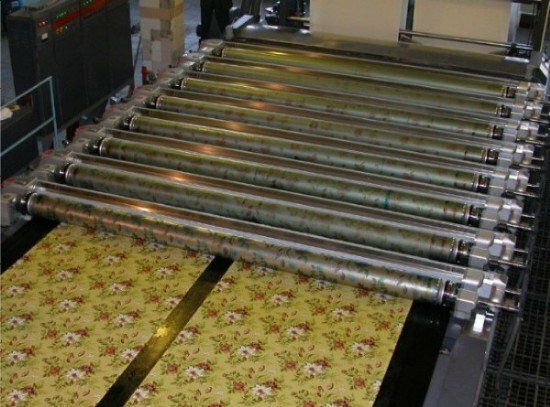 Rotary printing or all over printing techniques is a method where fabric is feed in to rotary printing machine from one end and then it is moved through steel rolls, which imprints different colors on to the fabric. Our printing mills have state of the art rotary printing facility and can manufacture best quality printed fabric for our buyers. 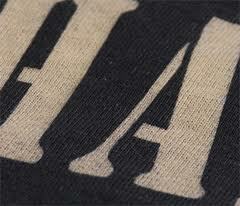 Discharge printing technique is a process through which the printing discharges a particular portion of dye, thus giving a printing effect. Our printing houses and processing units can make best quality discharge printing using the best quality discharge print dyes. Please see our virtual showroom to see some our discharge printed fabrics.